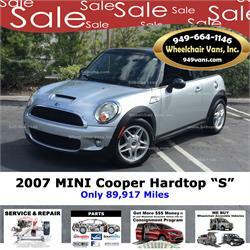 2007 MINI Cooper Hardtop Model "S"
Wheelchair Vans is offering the Best Prices on side entry wheelchair accessible vans and rear entry ramp vans. 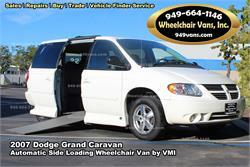 Whether you're looking for a side entry wheelchair van or a rear entry handicap accessible vehicle chances are you'll find just the right vehicle for sale you right here at www.949vans.com or call 949-664-1146 and tell us what you are looking for. 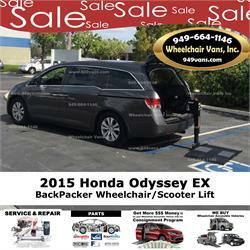 Call us now at 949-664-1146, get a quote and compare for yourself. Why pay more when you don't have to. 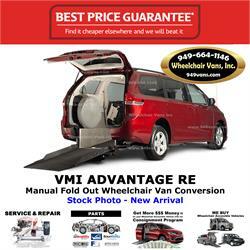 If you did not buy your van from us you simply paid too much. 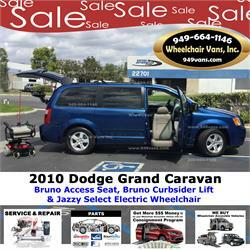 We DO NOT SELL Wheelchair Accessible Vehicles that have been involved in a wreck, or have a SALVAGE or REBUILT TITLE. What exactly is a salvaged or rebuilt title vehicle? 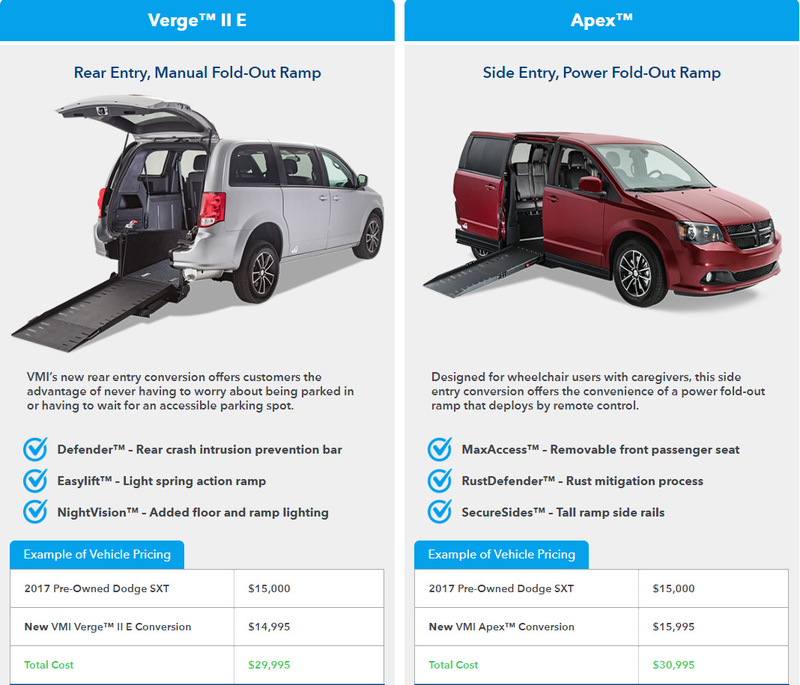 A vehicle gets a salvage title when it is damaged beyond its repair value or when a vehicle is written off as a total loss by the insurer whether by damage or theft. 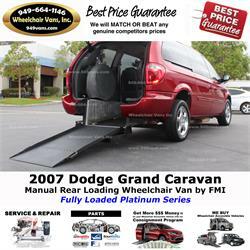 The vehicle was either involved in a high impact collision which altered the frame of the vehicle and conversion or it was simply vandalized severely. 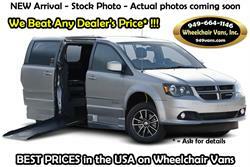 We Advertise a Haggle Free Wholesale Price on all of our vehicles unlike most dealers. NO "Call for Pricing" here. 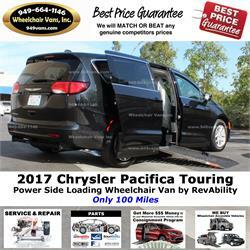 Typically these Dealers will give you a low price over the phone and when you arrive at their dealership their price has changed or the salesman "made a mistake on the price". 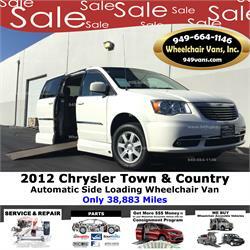 No Games or Gimmicks here -- you see the price and can compare it before you call or come to see us. 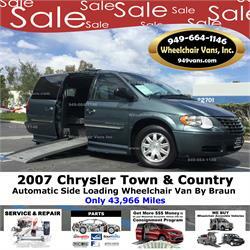 We will Meet or Beat any Competitor's Advertised Price on a similarly equipped vehicle. 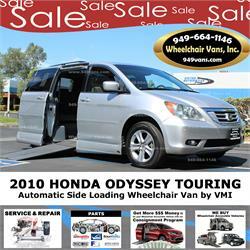 Simply bring us a competitor's advertisement and let us give you a haggle free wholesale price. We shop multiple lending institutions to get you the Best Rates. 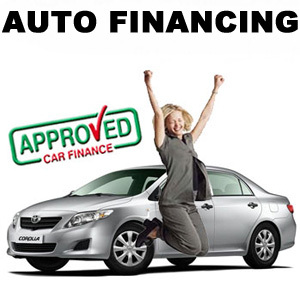 Click picture for additional info on Auto Financing. 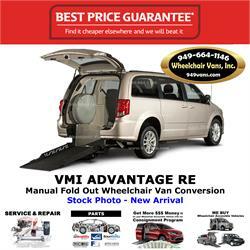 Wheelchair Vans, Inc specializes in auto financing and finding the most compettive rates. 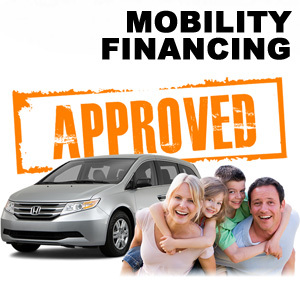 If you need to finance a vehicle, we can help every step of the way. 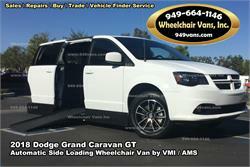 Click picture for additional info on Wheelchair Van Financing. 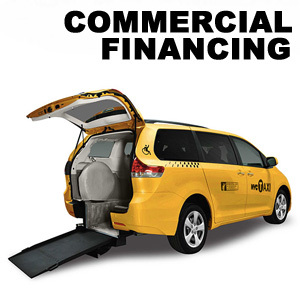 Wheelchair Vans, Inc. is your mobility loan expert, that includes all the knowledge that comes with financing mobility vehicles.